About 13 million adult students are pursuing advanced degrees online. On Aug. 5, 2014, a gunman had sprayed bullets from an assault rifle into a military delegation visiting an Afghan military academy. Maj. Gen. Harold J. Greene was killed; Haynes was struck with four bullets and was among nine Americans injured. He had prior experience with distance learning. Although Haynes, a native of Albany, Georgia, who now lives in Fort Belvoir, Virginia, had pursued his bachelor’s degree in a traditional classroom-based program — at Fort Valley State University in Georgia — he had later earned his master’s in business administration online from Florida Institute of Technology in 2013, while in the Army. He also earned a certification in program management while deployed as a member of the 82nd Airborne Division. “I could log on any time, in the middle of Iraq,” he said. For the convenience, the flexibility — and now because, “it puts a veil over my disability,” Haynes says he prefers taking classes through the screen of his laptop. In the 1990s, he recalls, the first forms of online classes emerged, although the systems were still slow. Today, such popular online platforms such as Blackboard or Moodle allow for much improved discourse. “In the true online class there’s a lot of interactivity,” said Haber, who teaches classes in technical writing and communications. Now, according to an annual survey by the Babson Survey Research Group and the Online Learning Consortium, more than 6.3 million students took at least one distance education course in the fall 2016 semester (the most recent academic year for which data is available). That’s 31.6 percent of all higher education enrollments, according to the study, and about half of them were taking all of their classes online. Many of these students are traditional age. But for adult students (generally defined as those 25 and over, working full-time jobs or with parenting responsibilities) online education is a particularly attractive option. Citing several studies, Louis Soares, chief learning and innovation officer for the American Council on Education, says that about a third of all adult students — roughly 13 million — are pursuing advanced degrees online. Research has shown that students can learn as well online as they can in a face to face classroom, according to Jovita Ross-Gordon, a professor at Texas State University. The vast majority of colleges and universities in the United States offer at least some online classes, but there are still those who question its legitimacy and also the quality of for-profit colleges whose curriculum is offered solely online. Walden University, where Haynes is earning his doctoral degree, is one such institution. He said that he researched the school through the VA and other sources, and heard positive reports from a friend who was also pursuing his doctorate in business administration at Walden, which Haynes learned was accredited by the Accreditation Council for Business Schools. For Manda Gibson, online education is the preferred mode of learning. “I love it,” said Gibson, 45, the mother of four, who works full time as an instructional designer at Simpson College in Indianola, Iowa. Gibson is pursuing her master’s in business administration online with Colorado State University-Global Campus, and before that earned a Bachelor of Arts in management, taking mostly online classes, at Simpson. But she says, with the flexibility of online education comes responsibility. “You have to take it seriously,” she said. “Some people think online classes are easier. I think it’s actually more work. Because you might have to spend more time with the content.” Time is a commodity that Haynes, like many adult learners, has little of. He and his wife — Sgt. Chelsea Aiko Haynes of the Army — have six children, ranging in age from 1 to 17. 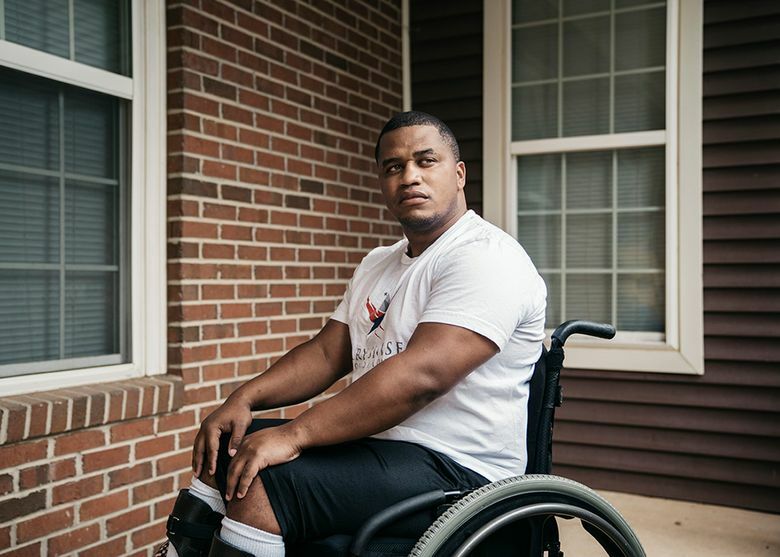 He is also active with the Semper Fi Fund, a nonprofit organization that provides financial assistance for catastrophically injured servicemen and women. But most days, after the children are off to school and his wife is at her job at the Pentagon, he sits down in the living room with his MacBook Air and gets ready to learn. Here are some tips for success in online education for adult learners, from Jeremy Haynes and Manda Gibson, two students who have flourished in this learning environment, and from George Haber, an adjunct professor at Vaughn College in Queens, and a veteran of over 25 years of teaching online. SET ASIDE specific time periods when you can do required reading or writing and stick to the schedule, whether it’s an hour a night three nights a week; Saturday or Sunday morning; or some combination. GET ACQUAINTED with your academic adviser from the start, as he or she is your lifeline for anything at the institution. CHOOSE A SUBJECT for your first online class that you’re interested in, if possible. You will be more likely to become engaged in the material and learn the technology. ASK QUESTIONS and reach out for help early. Don’t get frustrated if you don’t understand something; a quality online program will not only have self-help tutorials, but also good student services to help with the details. TAKE PART in any online discussions or forums. Your lack of participation will be easily noted by the instructor.